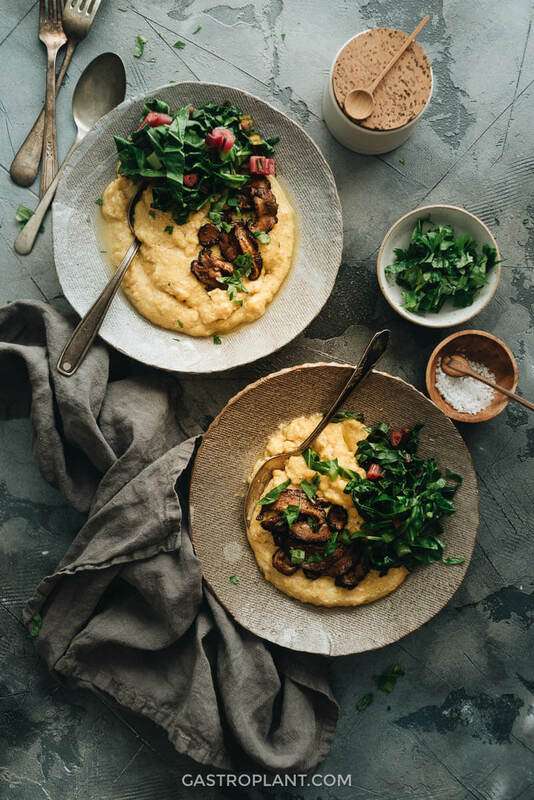 These vegan cheese grits are creamy and fulfilling, yet simple and quick to make. In just 10 minutes, you can whip up these versatile grits for your brunch spread. Having grown up in Georgia, a lot of the food from my childhood was Southern. 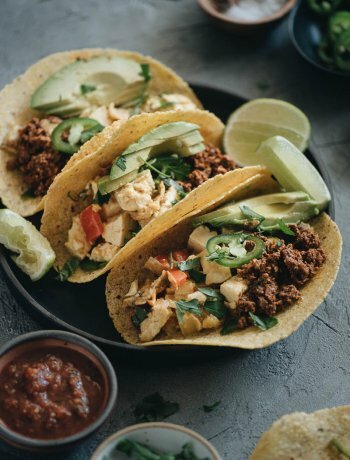 My family wasn’t exactly from the South, but we were quick to adopt some Southern foods into our everyday meals. Cheese grits were one of those foods. My mom would cook a gallon or so of plain grits, then pack it up in containers and freeze them. She would reheat the grits each morning, usually adding a slice of American cheese and stirring it in, before serving them to my sister, my brother, and me. This was meal prep for kids, early 90s style. The grits were very simple, but a hot bowl of them was a comforting way to start each day. The consistency was thick enough to stay hot down to the last bite and the flavor was cheesy and savory. This was before “shrimp and grits” was a dish on menus of fancy restaurants around the country, when grits were more of a humble dish that was cheap and filling. I wanted to recapture the elements of this childhood staple in a way that stays true to the flavor and simplicity of the original. Using a combination of plant-based milk, butter, and cheese, plus nutritional yeast, I was able to match the original pretty closely. The recipe included in this post is only slightly more complicated than the original, as it uses vegetable broth and plant milk instead of water for boiling the grits. These two liquids lend some savoriness and creaminess to the dish without much extra effort. 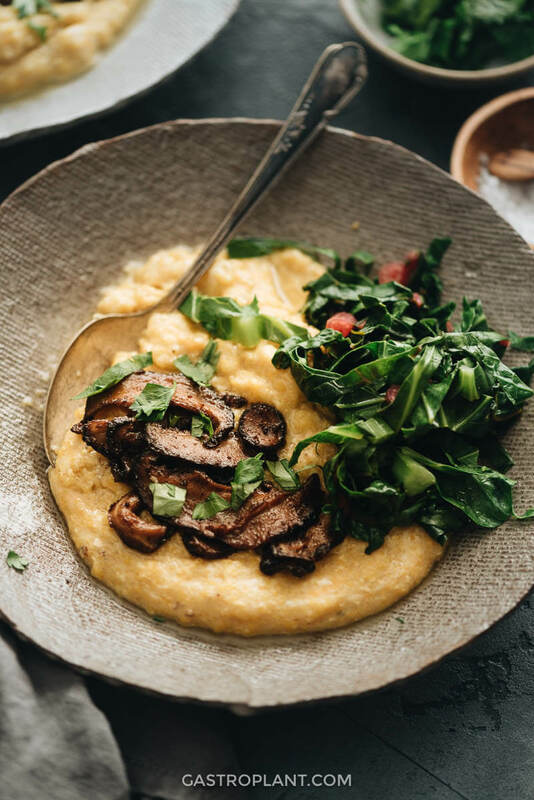 There are traditional accompaniments to grits that go well with this version, but there are also some other, less common ones you should consider. 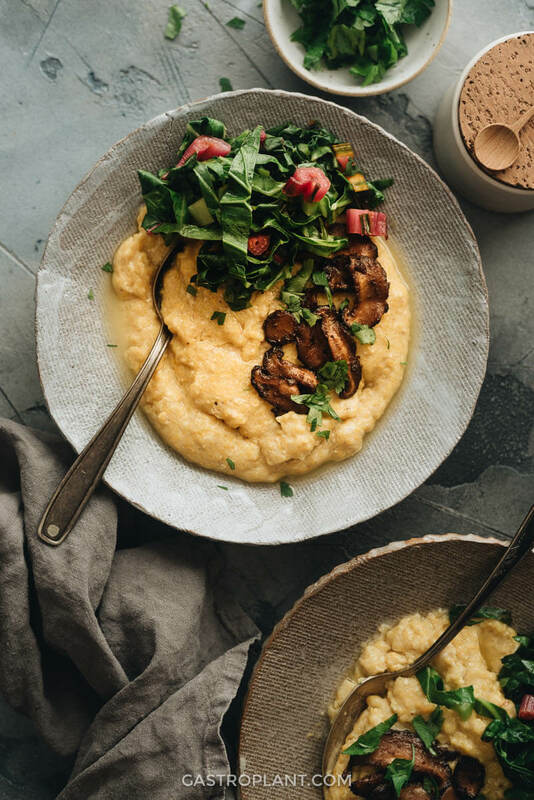 Grits are often served alongside some kind of greasy animal protein (bacon, sausage, eggs) and these grits go well with plant-based counterparts of those. Beyond Meat’s Italian and brat-style sausages might be the most delicious plant meats I’ve tried, and they are perfect with the grits. 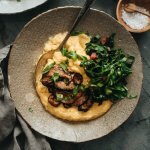 When I made my shiitake bacon, I served it with these grits and the smokiness created a great contrast. 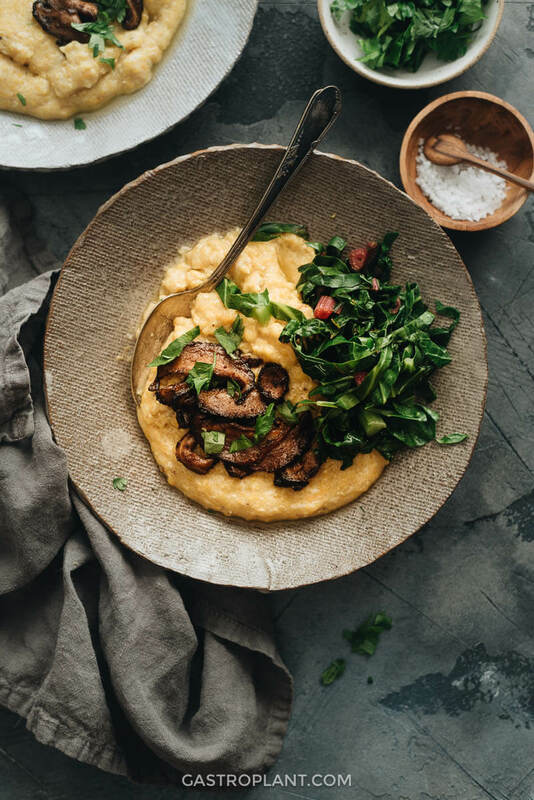 There are even plant-based scrambled eggs from Follow Your Heart and Just that accompany the cheese grits beautifully as well. 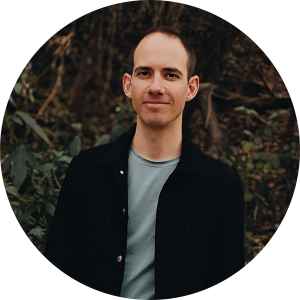 However, given the rich, creamy, cheesy, and salty flavor profile of the grits, you can create greater contrast by pairing items that are not also rich (i.e. not greasy) and use other tastebuds than the salty/savory ones. I found that collard greens, very lightly steamed and dressed with vinegar, are phenomenal with these cheese grits. 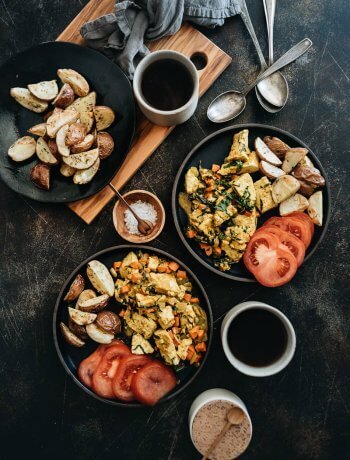 Combining the gentle bitterness of the greens and sourness of the vinegar, you take breakfast from one dimension to three. I can’t overstate the value of these other flavors, not to mention the nourishment you get from greens. Try it with collards, chard, kale, or spinach. A formula for these optional greens is included in the recipe. This recipe uses plain, untreated, non-hominy corn grits or coarse cornmeal. It has a yellow color. Some grits are traditionally made from another type, nixtamalized cornmeal (“hominy grits”), which has been treated with an alkali solution. It has a white color. That type of grits takes much longer to cook and should not be used for this recipe unless you’re prepared to experiment with different ratios and cooking times. This recipe produces a fairly thick porridge, almost thick enough to eat with a fork. Grits can and are often made much thinner, closer to a soup. If you like your grits thinner, you’ll need to add more liquid. See the notes in the recipe for more information. The two liquids included in the recipe, vegetable broth and plant milk, are interchangeable with each other. They can even be replaced by water if you want to simplify the recipe. 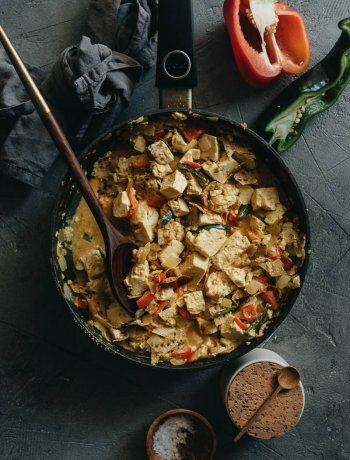 Using water will alter the flavor profile and you may want to add more salt or nutritional yeast if you make this change. If the grits become too thick, you can add liquid (broth, plant milk, or water), stir well, and (re)heat. Combine vegetable broth and plant milk in a medium saucepan. Bring to a gentle boil over medium heat. Add cornmeal and stir well with a fork or whisk. Reduce to low heat. Simmer for 5 minutes, stirring frequently to prevent buildup and scorching on the bottom of the pot. It can be helpful to use a stiff spatula for this. Stir in the nutritional yeast, cheese, and salt. If the consistency is too thick for your liking, stir in more vegetable broth, plant milk, or water, 1/4 cup at a time, until it is thin enough. Each time you add liquid, stir for 30 seconds over low heat, so that the consistency is even and the grits are heated through. If the consistency is too thin for your liking, continue to simmer over low heat until the desired consistency is reached. Taste the grits and add salt to taste. You can add more cheese if you like, as well. Serve hot, topping with 1/4 tablespoon of plant-based butter (if using) on each serving. Place collard greens in a large microwave-safe bowl. Cover bowl with a plate. Microwave on high for 1 minute. Taste a piece of collard green stem. If it is tender enough to eat and the greens are an even bright color, they are ready to serve. If the greens are not ready, cover the bowl, return it to the microwave and heat for 15-second intervals until the greens are cooked. Add vinegar onto the cooked greens. Add a few sprinkles of salt. Mix well. Taste. Add more salt or vinegar as needed. The two types of liquid in the recipe, vegetable broth and plant milk, are interchangeable. You can replace all of one with the same amount of the other, based on your preference or what you have on hand. Using more plant milk will make the dish creamier, while more stock will make it more savory. You can also use water in place of the broth and milk. If you do, you may want to add more salt and nutritional yeast. This recipe follows a general ratio of 4:1, liquid:cornmeal and results in fairly thick grits. Some recipes use as much as 5:1 (and cook as long as 30 minutes). The grits will keep for 5 days in an airtight container in the fridge. You may need to stir in more liquid when reheating.